Judith has worked in various media: wood and welded sculpture, glass and metal screens. cloth tapestries and as a toy designer; however, her love of clay, which she played with as a young child, led her to ceramic murals. Tile making was a way of working incrementally, yet fabricating larger artworks. She was drawn to ceramic murals because they could be incorporated into public buildings and be accessible to many people. She became committed to the importance of public art in creating community as well as personalizing space. Judith attended Sarah Lawrence College, where she received a bachelor’s degree, and trained at the Accademia di Belle Arti in Rome, Italy and the Boston Museum School of Fine Arts. Since 1973, she has created commissions for a variety of public use spaces including healthcare facilities, a train station, the National Zoo, Rockville, MD Town Center, schools, libraries, senior centers and other municipal and institutional buildings. She has also created smaller murals for private clients. Bernice Masse Rosenthal graduated from the School of the Museum of Fine Arts in Boston with a concentration in sculpture, particularly carving stone. She completed a fifth year at the school and was awarded the Rebecca R. Joselin and Clarissa Bartlett Traveling Fellowships which she took in Greece. She has travelled several roads and developed a range of skills since the days of stone. Following her school years, Bernice was a paper conservator with a private practice. As a volunteer at the Carpenter’s Boatshop in Maine, she developed woodworking skills. These experiences were all grist for the art mill. Paper conservation techniques were easily incorporated in collage which is where she returned to life as an artist. 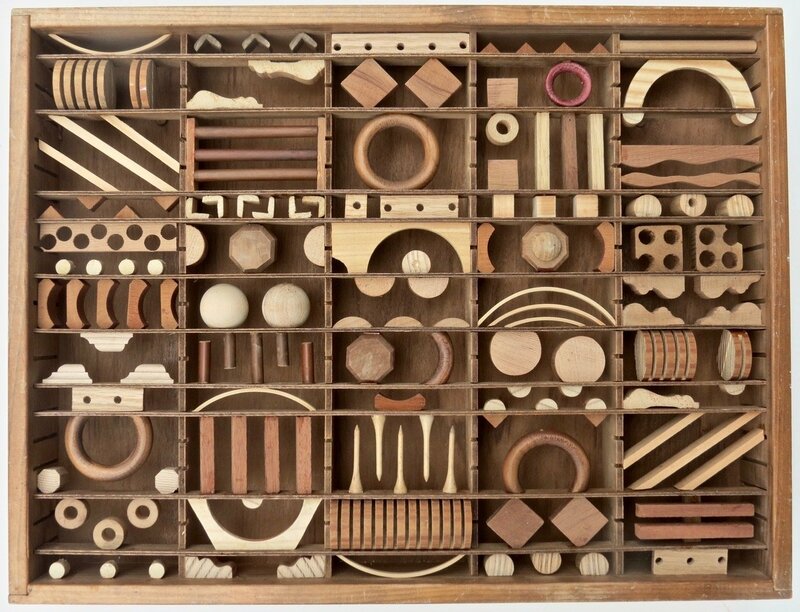 The natural successor to paper collage was assemblages of wood which has been her principle medium for two decades. She is an inveterate recycler, collecting discarded wood forms presumed worthless. Most recently her work strives to engage the viewer either by presenting the piece with several orientations, kinetic possibilities or through interactive manipulation by the viewer. Bernice’s work has been shown in numerous galleries and venues in Maine and Massachusetts and is in several private collections.